Fields are used to define specific attributes of an object. Knack offers a wide variety of field types, each with its own unique behavior and options. 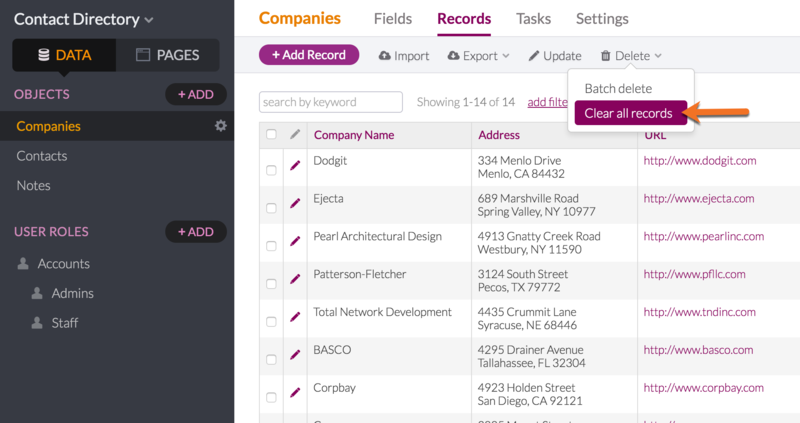 Becoming familiar with the types of fields at your disposal will enable you to get the most out of Knack. For example, storing multi-part data like a date or a full name in a field of its own type will let you sort that data or extract individual parts of it (via equations or text formulas) down the road. 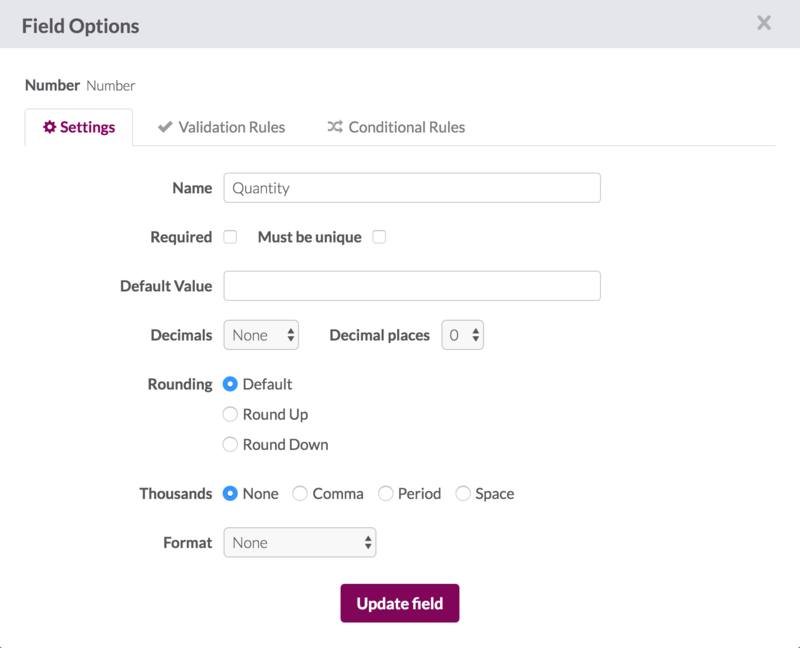 The following is a guide to field types that includes a description of each type’s recommended usage, its options, and what it looks like as a form input. Note: Be aware that changing the field type could alter the field's data in your records. This is not recommended unless you're changing to a similar field type, such as switching a short text field to a paragraph text field. Short Text fields are used for text that is less than 255 characters and does not require any special formatting. Used for titles, names of places or things, and other information which only requires a few words. Required: If checked, this field must have a value before a record can be added or updated. Must be unique: Setting to Yes means the value for this field must be unique; no other record can have the same value. Default: This value will be used by default if no value is entered. This value will also be used to populate any forms used to add a new record. Paragraph Text fields are used for text that is longer and might need multiple sentences and paragraphs. There is no limit on number of lines or characters allowed in this field type, although practical and display limits apply in what is usable in a long block in a Rich Text field. Must be unique: If checked, the value of this field must be unique. no other record can have the same value. Knack Tip: When used on a Table view, options to truncate the text displayed at a character limit you set is available. Once the text is past that character limit, it then shows a "Show More" link to expand the cell in the table. A "Show Less" link is displayed when the content is expanded to collapse it again. Rich Text fields are used when you need to add more rich formatting and HTML to text. When edited, a rich text field will have a WYSIWYG interface for formatting the text with styles like bold, bullets, and more. Note: Rich Text fields have a limitation of just over 30,000 bytes of information. Bytes roughly convert 1:1 to character count, with the exception of character based languages. Character-based language characters must be converted with UTF-8 encoding and this conversion uses anywhere from 2-4 bytes. Inserting more information than this limitation will result in an "undefined" error when trying to add or update the record. Text formulas are used to combine data from multiple fields and to extract data from individual fields. See the Text Formulas article for more information. Number fields are used for values that are added, counted, or measured. Values can include (or not include) decimal places and formatting of your choosing. Decimal places: A number of decimal places to include when displaying the number. This does not affect how the numbers are stored in the database - only how they are displayed. If the stored number has more decimal places than this option, the displayed number will be rounded. Thousands: You can choose none, comma, period or space to separate thousands in large numbers. For example, if you choose 'comma', 80000 would display as 80,000. Note: currently if you set thousands = period, you also must set decimals = comma even if your field does not have decimals. The decimal places will equal 0 in this setup. Format: Whether to format your number with currency letters or your own custom before and after the text. Note: A number field 'allows' non-digit characters to be entered, but converts them to 0s upon submit. If you need to add validation to avoid this scenario, you can see our conversation in this forum post. Currency fields are like numbers, but with a currency symbol and formats for decimals and commas automatically included. Format: The type of currency used to format each number. If you need to use a custom currency symbol, use a Number field instead (see above). Equation fields are used to perform calculations with your data. See our article on them for more information. Formula fields are used to run calculations on connected records and store the total of that calculation. Order Total: An Order record sums the prices of all the Item records connected to that Order. Average Sale: A Salesperson record averages the total of all the Sales records connected to that Salesperson. Employee Count: A Company record counts all the Employee records connected to that Company. See our article on them for more information. 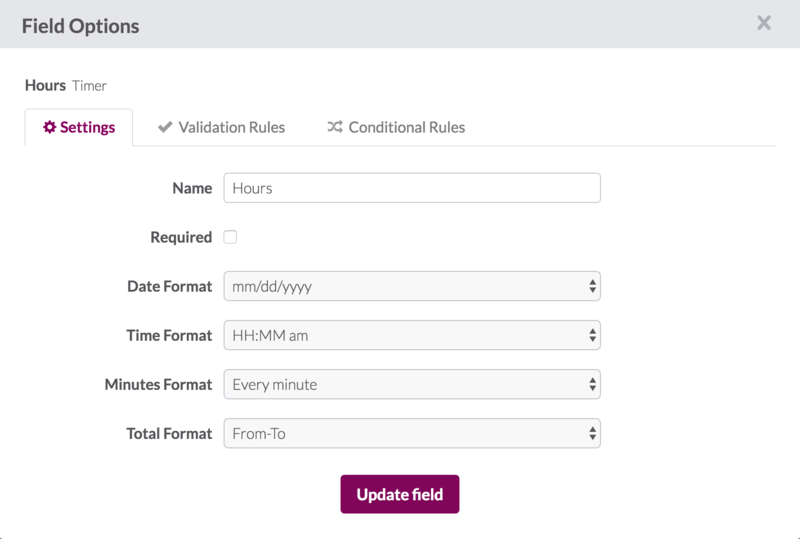 Auto increment fields are used to give each record a unique ID by starting at one (1) and adding one for each new record. If you'd like to start with a number different than 1, check out the How To Start an Auto Increment Field from Any Number help article. This increment is maintained even when records are deleted. If all of an object’s records are cleared from an app’s database, it will be reset. 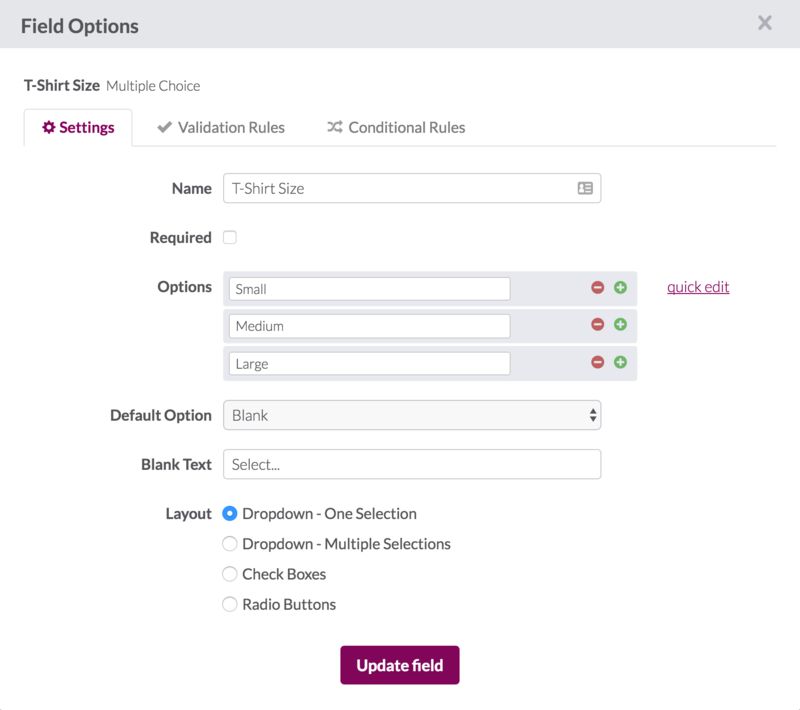 There are no settings for an auto increment field. Auto increment numbers cannot be manually edited and therefore cannot be added to forms. To reset an auto increment field, you need to use the Clear all records option in the Records section. Warning: This will permanently delete all of the records in this object, so be careful! Multiple Choice is used when you want to present a group of options to select from. Options: All choices available to be selected. Use the red and green icons to remove or add options. Click and drag options to rearrange the order in which they appear. The "quick" edit link allows for you to add many multiple choice options through typing or cut and paste. Dropdown fields will display in the order listed in this field set up. Some views, such as pivot table columns do not allow for the reordering of these columns outside of alphanumeric. Note: Updating an existing multiple choice option will not update records to the new value. If you need to update an existing value that's already being used, it's best to add the new value independently and run a batch update to update the old values to the new values. Default Option: The choice which will be selected by default on your forms. Blank Text: The text your users see when they need to select a value on a form (if your forms show this field as a dropdown). Layout: Determines how the choices will be presented in a form. The Dropdown - One Selection and Radio Buttons options only allow for a single selection, while Dropdown - Multiple Selections and Check Boxes allow for multiple options to be selected. Knack Tip: When using filters in multiple choice fields with special characters in your options such as (), , etc., a 'contains' filter will not return results. In this case, you'll need to use an 'is' filter instead. Yes/No is used for fields where you simply want to differentiate between a true or false value. Labels: Other options for "Yes" and “No” labels, like “On”/”Off” and “True”/”False”. Default: The default value for either Yes or No. Require Yes: Forms including this field cannot be submitted until the value is "Yes" (or “True” or “On”). 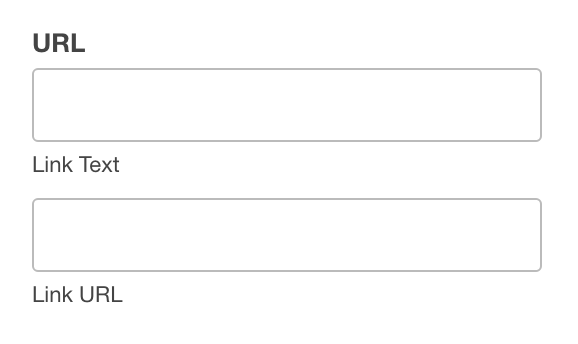 Input: How this field should appear on forms. 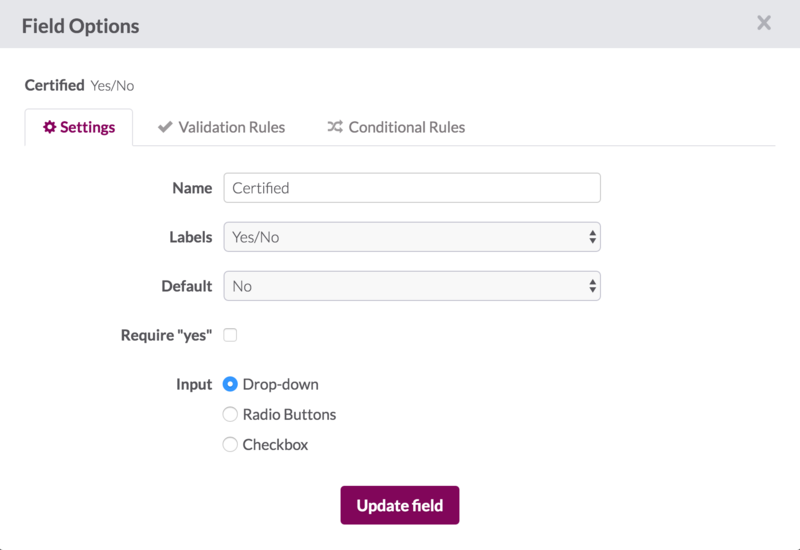 Knack Tip: If you have a default set on a Yes/No field, and add a conditional rule, you still must add a "every record rule" that matches your default, otherwise the value will always match the conditional rule (and never be set to the default). 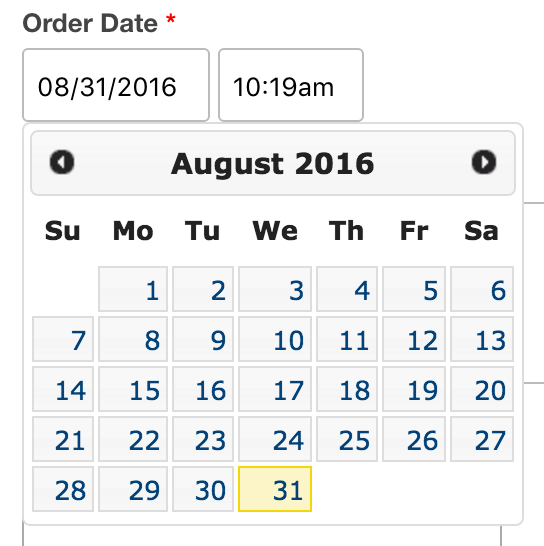 Date/Time fields are used for storing dates, times, or both. Time Format: How times are formatted. Calendar Options: This will enable advanced calendar options like "All Day" events and repeating events. "is during the current week": Sunday, 12:00am - Saturday, 11:59pm, of the week where the defined date falls. "is during the previous week": Sunday, 12:00am - Saturday, 11:59pm, of the week prior to where the defined date falls. Similar logic can be applied to "is during the current day", "is during the current month", or "is during the current year". On a similar note, if you'd like to include both data the 'past three months', you'd set up two filters, one for "is during the current month" and one for "is during the previous 2 months". 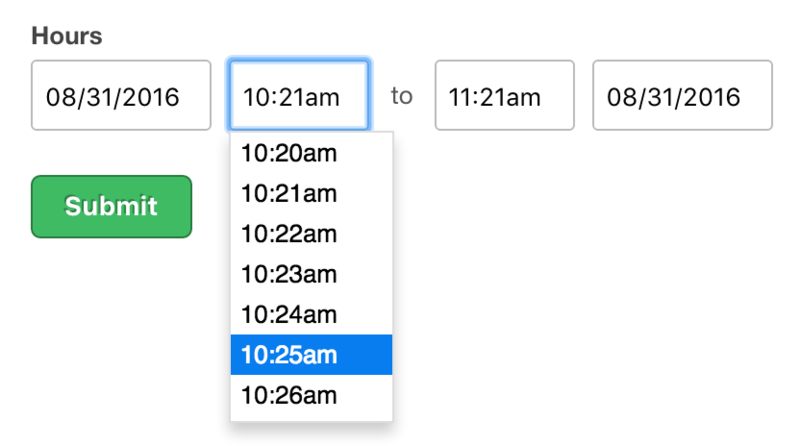 Knack Tip: If you'd like to provide detailed filters by time, you can choose "Ignore Date" on your Date / Time field. Then, on both the Builder and Live App, additional time filter options will be available. This will require one field for Date and one field for Time if you need both. Knack Tip: Using an Equation field (found under the Number field category), you can perform Date Equations to calculate additional dates from the original. Timer fields are used to track a time duration, most often for tracking hours. Time Format: How times will be formatted. Minutes Format: How many minutes by which to separate each option for the time. This only applies to the drop-down options shown; it does not round the time to these increments, nor does it restrict the time entered to these increments. Files are used to add files and attachments through forms that can then be downloaded by your users. Secure: Setting to Yes after your users have already uploaded files via this field means that any links they were using to access those files will no longer work. Every time a user accesses a secured file via one of the new Live App Knack URL links, a check is run to make sure that the Page, View, and field on which the user found the link to the file still exists; this way, for example, if you accidentally show a link to a file on a certain view and remove it later, users who saved that link will no longer be able to access the file through it. Note: Files uploaded to a field with Secure set to yes will still be accessible if the direct URL to the file is used. This allows the file to be shared in emails or as needed without requiring someone to log into the Live App. 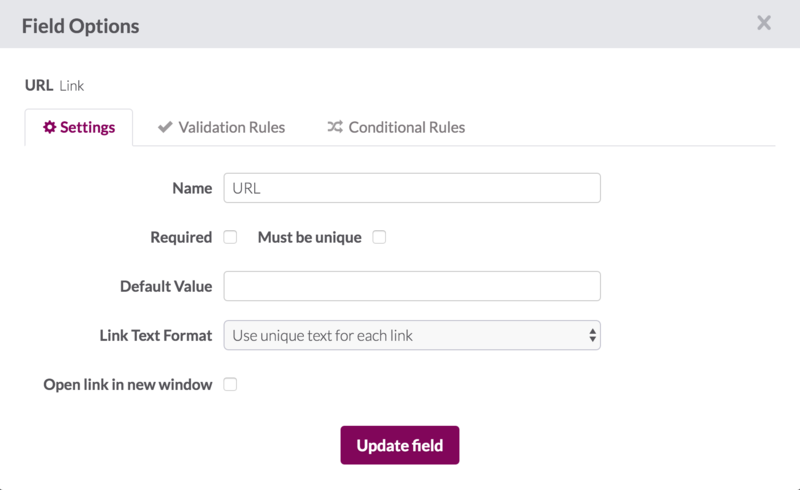 Only the URLs to the file displayed in a Live App page will follow the rules that are in place for that page. Note: There is a file size limit of 250MB per uploaded file. If you're running into any difficulty uploading a file - first check if your file size is larger than this. Images are used to upload and display images. You can also create thumbnail versions of the image to display where needed. Upload image files: Users will upload image files, and they will be stored on your Knack account and count toward your asset storage limit. The uploaded image will be given a URL that can be accessed externally of Knack. As such, it is not recommended to upload images with any sensitive information to an image field. Load images from external URL: The user will add a link (URL) to where the image is already uploaded and stored. These images will not count toward your asset storage limit. The source image of this URL can be updated without being updated in Knack. Resize by percentage: The thumbnail will be resized by the percentage and maintain its ratio. Resize by pixel: The thumbnail will be resized based on the max width or the max height, whichever applies first to the image. The other dimension will then scale to maintain the correct ratio. Resize to square: The thumbnail will be resized to a square. If the original image is not a square ratio, then the larger dimension will be cropped to create a square. Note: If you choose the "Load images from an external URL" for your image type, these images do not store an actual thumbnail image. These thumbnails are dynamically generated on page load where the image thumbnail is displayed. 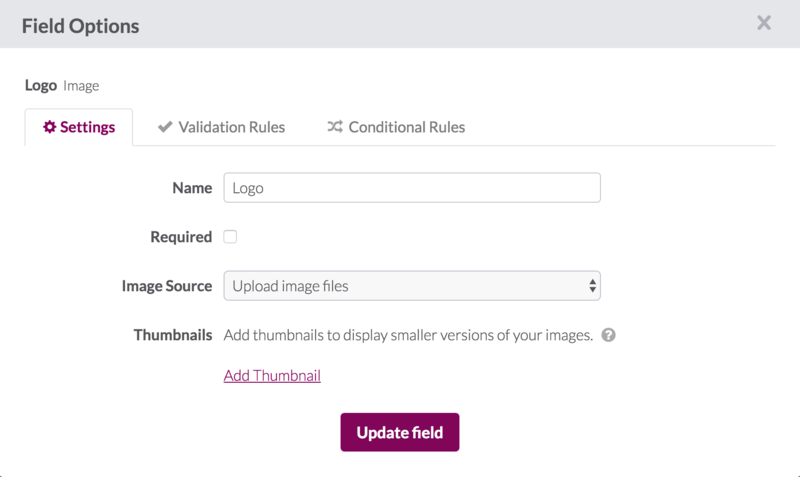 This means that if this option is chosen, thumbnail images downloaded or accessed with an API call will be returned in full size. Image Indexing: If you include images in a Live App page where there is not a login required, the images can be found and indexed by Search Engines. To prevent unwanted exposure, make sure that your images are only displayed on pages that require a login. Knack Tip: Images uploaded to an Image field will be accessible outside of Knack. Following a direct link to an image will not require any authentication to view the image. It is recommended to use a File field, set as secure, to upload images to if your images will contain sensitive information. Name fields are used to combine name elements like Title, First Name, and Last Name into one convenient field for entering and displaying names. Format: Names can be formatted with various options which can include a title. Note: Name fields are sorted alphabetically only by the last name. For example, if the format of "Last, First" is chosen, it only sorts by last name and first names are displayed in random order after the alphabetical last names. If you need to sort alphabetically by the first name as well, you could extract the first name with a text formula field, or create a short text field separately for first and last names. Email fields are used to store email addresses. A link will automatically be created to send an email. Use this email address: Use the full email address will display as a link. Use the same text for all emails: Use the same text that every record will use as the email address. Use unique text for each email: Add unique text for each record to use as the email. Address fields are used to combine fields like Street and City into one convenient field for entering and displaying address data. Address Autocomplete: Address Autocomplete uses Google’s autocomplete functionality to provide suggested addresses nearest to you as you type. To enable this feature, check the “Address Autocomplete” checkbox from the address field’s settings. This feature is available on Pro and above plans. and on the search on a Map view. This is available for U.S., International, and International (with Country) formats. It is not available with the Latitude/Longitude Input type. U.S.: U.S. format of City, State, Zip. International: International format of City, Province/ Region, Postal Code. International with country: Same as above, but with the country as well. 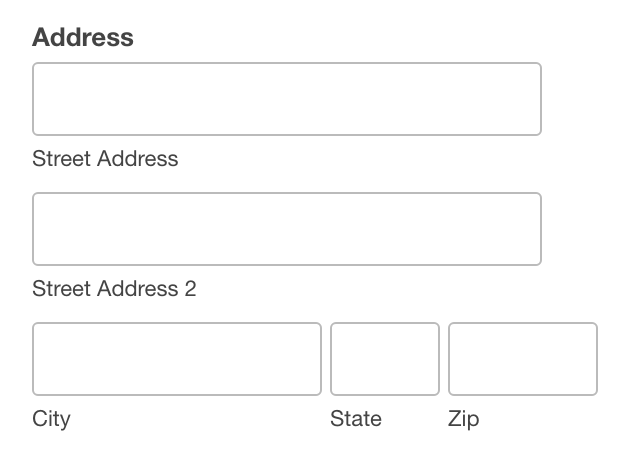 Input: Add address data either with full addresses or with latitude/longitude coordinates. Note: When using the latitude/longitude coordinates input, that location will display as the nearest street address on a map view, rather than the exact coordinates. 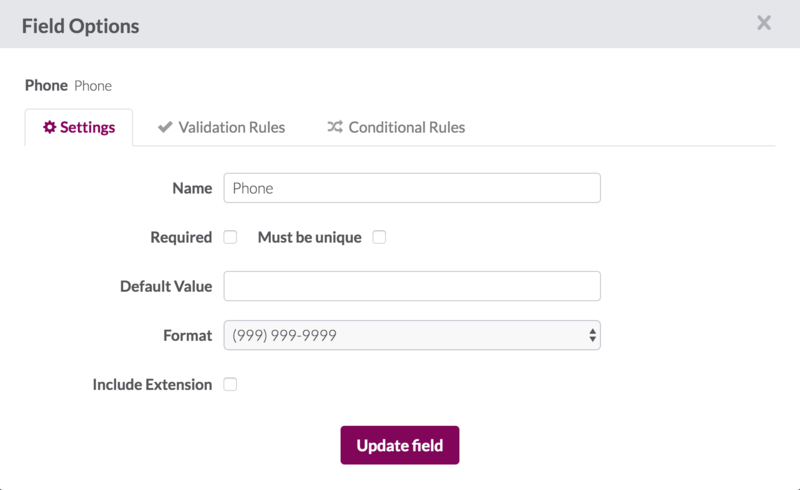 Phone fields are used to display numbers in phone formats and a link will automatically be created to call the number in mobile devices wherever field data is displayed. Format: Choose from various U.S and international options including the Any option that supports any other format not included. Include extension: Allow users to include extensions when adding or editing phone numbers. The signature field enables users to add their signature with their finger or mouse. Link fields are used to display URLs that link to any website. Default value: This value will be used by default if no value is entered. This value will also be used to populate any forms used to add a new record. Use the URL: The full URL will display as the link. Use the same text for all links: Add the same text that every record will use as the link. Use unique text for each link: Add unique text for each record to use as the link. Open link in new window: Use this setting if you would like all links to open in a new window. 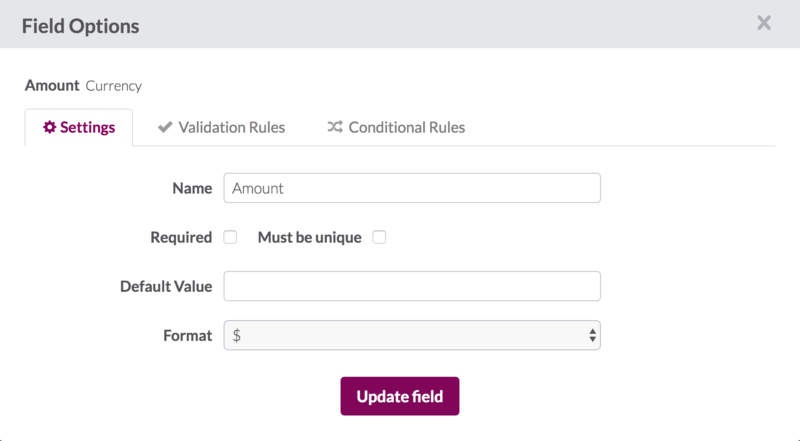 Rating fields are used to add ratings using a star system. Allow half stars: Determines whether the user can add ratings in half-star increments. Number of stars: Set the maximum number of stars that can be used for a rating. Note: When updating a rating field in the builder or live app, you will see a "Cancel" icon to the left of the stars. This cancels the entire rating. This icon does not appear in the form editor.